Home / Adventure / denmark / Europe / International / Travel and Living / Copenhagen in white coat- My first real snow experience! 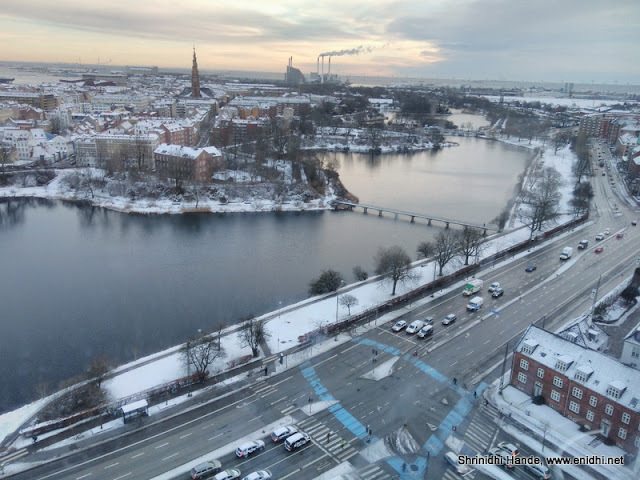 Copenhagen in white coat- My first real snow experience! This post explains my first real snow experience, at Copenhagen Denmark last month. This wasn’t my first snow experience- I had felt snow earlier in Switzerland (Jungfraujoch) but that was in summer- just going to the peak and experiencing the snow there. 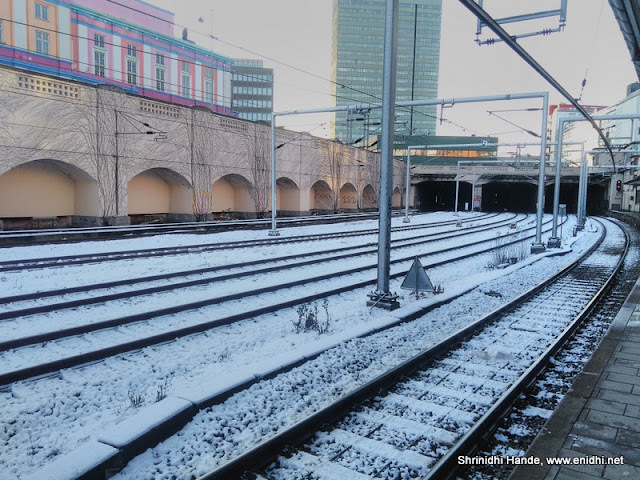 Didn’t have an experience where snow comes to the city you are and how it affects daily life. 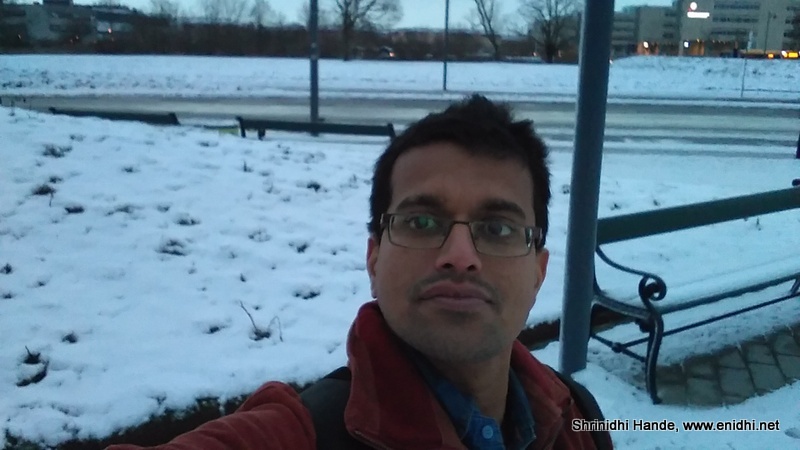 For many NRIs, US/Europe based people snow is nothing new- it is part of winter life. But for people in India snow is a big deal- some of us go to Kulu, Manali, Kashmir etc hoping to feel the snow. 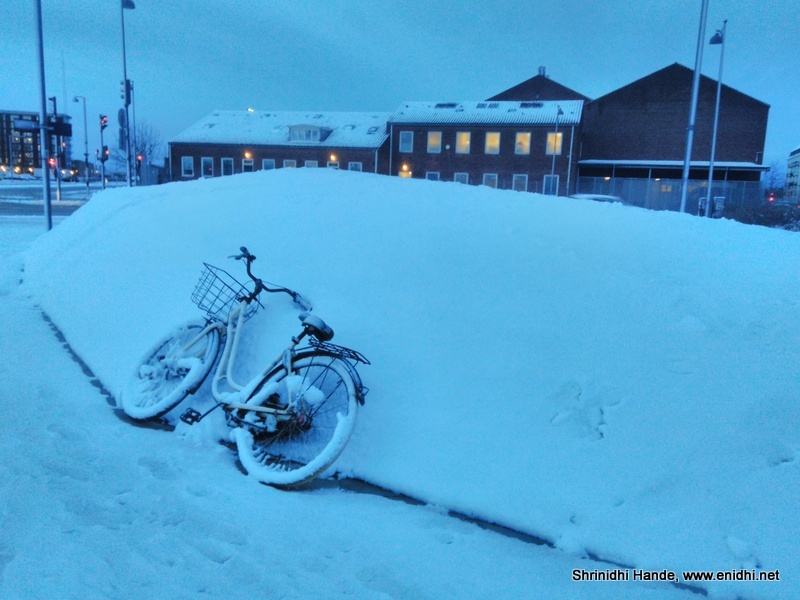 Most Indian cities never get snowfall. Indian airports and cities do not have de-icing equipment either as it is deemed never needed. My trip to Copenhagen last month was towards the end of winter. The worst of winter was already over. City was looking all dull with trees that had shed their leaves. There were cold winds and occasional rains, temperature hovering around 3-6 degrees in daytime. Occasional sunshine was eagerly anticipated by locals. I wasn’t sure if I will get to experience snow. But god answered my prayers- got lucky the night before I was to fly back. Above: Cars covered in snow near Radisson Blu hotel. The snowfall started at around 6 PM and went on almost till mid night. Within hours all vehicles had their first layer of snow. At about 8 PM everything was white- streets, cars, plants. It has great sight to see but with only mobile camera in hand and light being less, couldn’t take satisfactory pictures. Had to wait for day light. Snow clearing machines were soon out on the street, clearing the main roads and drive ways, pushing the snow aside. Vehicles were driving more cautiously than ever, to avoid skidding. At around 4 AM I came out of the hotel to take a walk- but the wind was very strong, so I had to go back. I came out again at 5 AM and started my city exploration. Wind, rain and snowfall had stopped now. Sunshine was predicted for the day which was perfect. But I couldn’t afford to wait till sunlight as I had limited hours left and wanted to make the most of it. First headed straight to Fredriksberg garden. There was no light but using light of the buildings/streets took some pictures. Detailed photos of the garden- summer vs winter is available here. On the way to metro station I spotted this. Same spot by afternoon was looking like this. In Frederiksberg area I also clicked a few pictures on the way to garden. Building you see below is Frederiksberg Radhus (Townhall), administrative office of the local municipality. The app based automated cycle rental service was very much operational, just that customers need to clean up the cycles from snow themselves. Next I headed back to my hotel for breakfast. After that took trains to reach Osteroport, where I could visit the Star shaped fortress (Kastellet, photos here), little mermaid and other attractions. It was about 9 AM now, a bit of snow had melted but majority was still intact. Little Mermaid had shed all her snow. I was told the last bit of snow will last up to 2 days before it melts away. But from what I observed, maximum impact remains till next afternoon, after that the seriousness is lost. From here walked to NyHavn, to new kissing bridge and then went back to hotel to rest for a while. Afternoon paid quick visit to Round tower, Rosenborg Castle and Botanical Gardens. On several occasions I lost my footing and was about to fall down. Managed to balance myself and learnt how to be careful while walking on the snow. 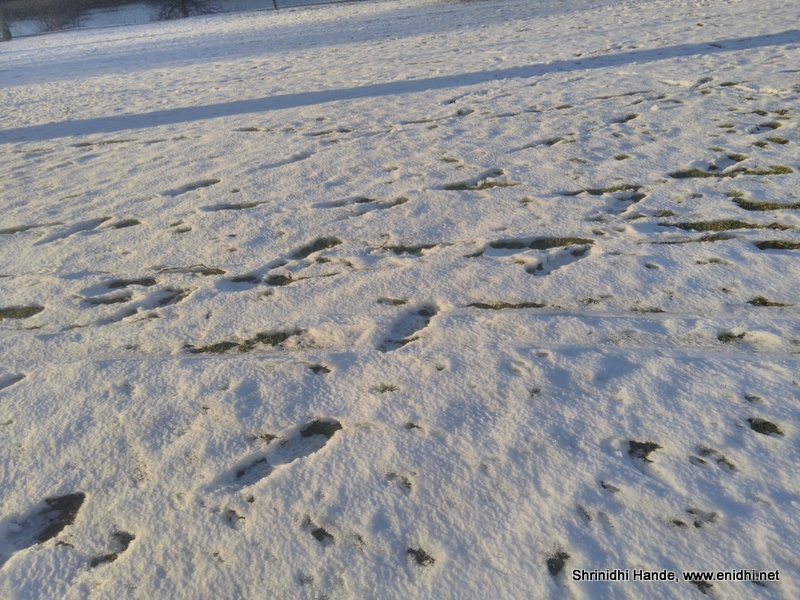 The thin transparent layer that hugs the ground seems to be most dangerous- if you can't notice it, you will think it is regular ground, but the layer of ice ensures there's near zero grip and you may fall down. Either need to crack the ice to get better grip or should manage using existing footprints. I also realized not everyone likes snow. Because it is first time, I enjoyed the experience. If you are to live with it everyday, you will begin to hate it. Cars need to be cleaned of snow, it disrupts schedule and normal life and so on. The snowfall I experienced was not serious enough to Freeze the water-bodies. I think that will be next level/target. I am also yet to try sking and other snow sports. I was lucky to get some sunlight next day- could go out. I could also manage with a normal jacket whereas I saw many geared up with heavy duty winter wear. A must during peak winte. Many malls in India have started offering Snow World of Snow Kingdoms- for a fee of about 500 Rs, you can spend an hour or two inside an artificial snow area. Nothing matches real experience. Do visit Kashmir or Simla next winter if you can't go to Europe. Where was your first snow experience? Amazing pics. Loved to read. Lovely pics, true, for we Indians experiencing snow fall is great thing. We were lucky to experience snow fall in Dalhousie, my kid enjoyed it so much.